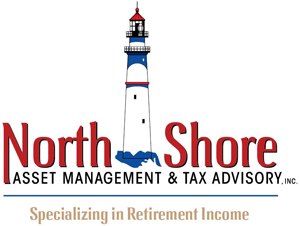 At North Shore Asset Management & Tax Advisory, Inc., we help our clients try to avoid unnecessary risk with their retirement assets. We will help you to preserver your hard-earned retirement assets in today’s market conditions and provide you with the income you need, with potential income tax saving advantages. Also, we will look ahead to help preserve your assets from the unexpected. Our goal is for you to not worry about your money, so you can enjoy your retirement years. To help our clients have the future lifestyle of their dreams, we provide those prior to retirement or already retired with a community business that really cares about preserving their assets. We will take the time to determine your individual goals and needs, to help provide you with a retirement with a more confident retirement.